The body does many things to protect itself, a lot of which we may not notice or give much thought to. Uncontrollable shivering, for example, is one of many defense mechanisms, and can sometimes come out of nowhere. But what actually causes it? And if you find yourself shivering uncontrollably, is there anything that can be done about it in terms of treatment? In this article, we’ll take a look at shivering causes, potential treatments, and whether or not you will just have to ride it out. By the time we’re done, you should know all of the basics of uncontrollable shivering. What causes uncontrollable shivering? Most of us have had it from time to time, but you may never have really thought about why it happens. Uncontrollable shivering is also called rigor, and is characterized by trembling and shivering that is essentially uncontrollable. It comes on suddenly and doesn’t want to go away. As for the causes of uncontrollable shivering, there are quite a few that should be covered. When you’re dehydrated, the body has a hard time trying to regulate your temperature due to the lack of fluids. The uncontrollable shaking could be due to an illness, and there are a number of common ones that can bring on the shivering. Food poisoning and infections like toxoplasmosis can bring on the shakes as can urinary tract infections. Being cold can cause you to shiver uncontrollably. This can simply be due to cold temperatures outside or a dangerous drop in body temperature resulting in hypothermia. A lack of iron can cause anemia. Someone with anemia can easily suffer from chills without a fever. 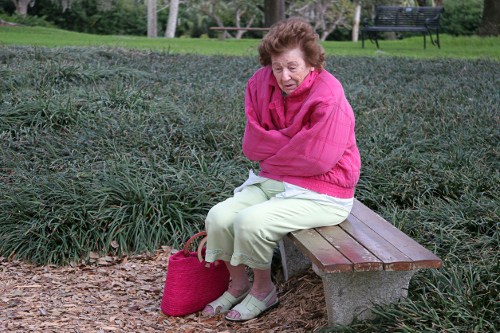 Certain medications can have the unfortunate side effect of uncontrollable shivering. Anxiety and stress can cause a physical reaction in some people. And one of those physical symptoms is often uncontrollable shivering. A person suffering from an underactive thyroid or hypothyroidism can often have uncontrollable shivering as a physical side effect of their condition. This seems to occur more in women than men. Low blood sugar has several causes. It can be caused by something as simple as not eating for a long period of time. It can also be caused by hypoglycemia, a low blood sugar condition caused by diabetes. Regardless of the cause of the low blood sugar, it can cause uncontrollable shivering. A lack of nutrition and vitamins can lead your body to think that shivering may protect it from the damage that is taking place. While not a natural cause, poisons both chemical and those found in nature (like in spiders, snakes, etc) can affect the nervous system to a point that it causes the body to shiver and quake uncontrollably. These are just some of the more common causes of uncontrollable shivering. We’ve discussed the common causes, is there any way to treat them? Uncontrollable shivering can be kind of scary. The question becomes, Can the shivering be stopped naturally? There are a few things that you can do that might be able to subside the shivering. Most of these revolve around dealing with the root cause of the shivering. If the shivering is caused by cold, get warmed up. Blankets, a hot water bottle … do what you need to do to warm up. If these shivers are a semi-common thing, a good night’s sleep can help set the shiver aside. Getting plenty of sleep can help the body rejuvenate and deal with illnesses, infections, and other causes of uncontrollable shivering. Eating a healthy diet on a regular basis can also curb uncontrollable shivering causes like low blood sugar, malnutrition, and anemia. Eating three solid, well balanced meals a day is always a good idea for your health. These meals should contain a healthy amount of fruits and vegetables. Keeping yourself well hydrated can prevent anybody tremors that might be brought on by dehydration. Steam can help warm up the body, as well as possibly help with the symptoms of causes of uncontrollable shivering like colds or the flu. You can also use steam in the form of a sauna that can help warm you up and stop the shivering. If you are getting your uncontrollable shivers due to stress and anxiety, a natural way of helping deal with that stress is to try meditation. Clearing your mind and thoughts can help reduce your stress and anxiety and then reduce your shivering. Vitamin B supplements can help boost your overall energy and reduce the amount of shivering. Of course, if these treatments aren’t working and your shivering has not gone away or returns, you may want to see a doctor as there may be an underlying cause that could have very negative effects on your health. Uncontrollable shivering can be caused by something that’s easy to deal with. You could just be too cold indoors or outdoors in frigid temperatures. It could also be caused by food poisoning that you’ll just have to ride out until it passes. Or it could be caused by low blood sugar unrelated to diabetes, which can be dealt with by eating or drinking something with sugar in it. The point is that whatever the mild cause may be, uncontrollable shivering shouldn’t last too long. If the uncontrollable shivering lasts longer than what feels natural, go see a doctor as it may be caused by something that requires more attention than other common causes. At the end of the day, the shivering is meant to help your body, but it may need some help from you and outside sources to fix the underlying issue. “Chills,” Medline Plus; https://medlineplus.gov/ency/article/003091.htm, last accessed May 11, 2017. Lakshmi, S., “7 Conditions That Might Cause Chills With No Fever,” Heal Dove, May 2, 2017; https://healdove.com/disease-illness/Chills-without-Fever-are-Caused-by-Different-Conditions, last accessed May 11, 2017. Grace, C., “How to treat chills without fever,” Basic First Aid, May 9, 2015; http://basicfirstaid.ca/how-to-treat-chills-without-fever/, last accessed May 11, 2017.